You are now on 40th level and its cool that you are not still board. It means you still addictive and want to complete more and more levels but don’t worry because hundreds of level still remaining. This level is little hard as you have just 30 moves and in that moves it hard to break 21 jellies and grill box. To complete this level you should try to use moves in breaking jellies or in getting special candies that you must require to reach requirement. Some special candies you can make is like striped candy that you can get by combining four same color candies or colorbomb that you can get by matching five same color candies or wrapped candy by making ‘L’ and ‘T’ shape. 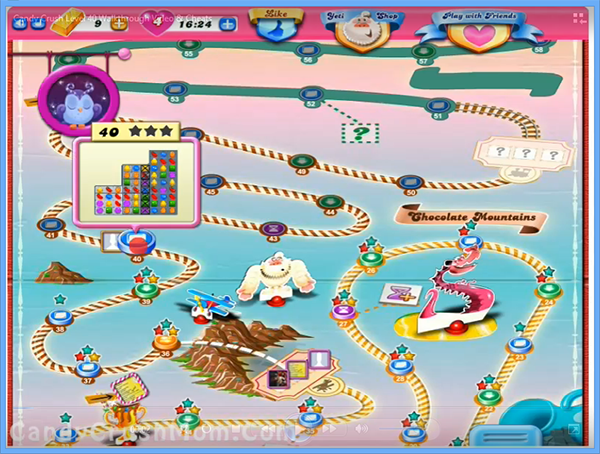 We completed this level with 75520 and used all moves by focusing more on special candies or breaking jellies and blockers.